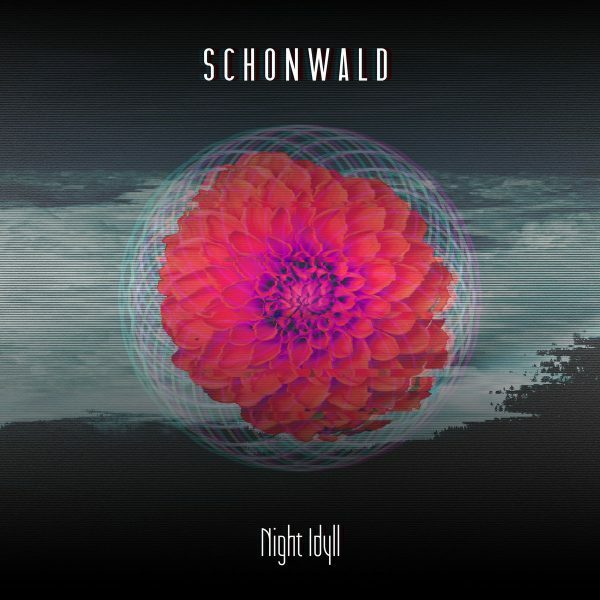 Schonwald who have been very busy touring have their 5th album Night Idyll due for release in June. I’m very happy to say I’ve got hold of an advance copy to review 😉 So what can you expect from album No5? The album opens with Damage -The intro will appeal to fans of Drab Majesty as the song hurtles full thrust for the dancefloor. What a great mix of guitars and graceful electronic undertones topped off with the perfect vocal delivery! Love it! Sleepy Destiny will keep your feet firmly on the dancefloor. Schonwald had a great sound before but the subtle change to electronics and drums is sublime. Great song! Austral – Just when you thought you might escape the dancefloor the assault continues in one of Schonwald’s best released songs so far. Exceptional vocal delivery. Nice! Love Collides -Love this track too, it’s like Schonwald have found a new level of brilliance in composing and mixing their songs. Damn catchy this will have you jumping around. Great! Oceans – Don’t be fooled by the intro as bang and its back to dancefloor. If the Pied Piper had played a guitar he would have been called Luca as he pulls out some highly addictive guitar loops. Fantastic song! Iridium – Just when you might have thought it can’t get any better it does. Think of a highly polished Soft Moon but better 😉 I can’t wait to DJ to this song, and dance to it live. Epic electronics throughout! Wow! Berlin Ice – and the tempo is cranked up 😉 This will ignite the dancefloor and burn a hole in it! Surprising Violence – Darkly atmospheric darkwave to make you dance! Nice! A Secret – Has quite a lovely space sequencer intro which swirls throughout this dreamy slice of shoegaze. Love it! Temple brings the album to a pounding close. Could be the perfect fusion of Shad Shadows and Schonwald. One of best albums of 2017. What a great band! Shame they are not at Leipzig this year ;( Lots of good bands across Italy at the moment they could probably have their own venue at the WGT ;). This is an essential album.